The average London rent in November was 0.7 per cent lower than last year - not an enormous fall but nonetheless the sharpest drop since October 2010 according to Countrywide. 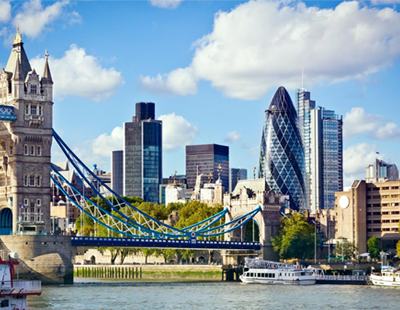 In its latest monthly rental index it reveals that over the course of the last 12 months, London has gone from the region with the second fastest rate of rental growth in Britain to the slowest. The gap between rents in London and the rest of Britain has steadily grown over the last five years - by last year the gap had reached a record £490 a month, up from £150 a month in 2010. However, by last month the gap had fallen to £489 a month, the first fall in six years; this means that rents in the capital currently stand some 60 per cent higher than in the rest of the country. The reason for London’s relatively decline is a surge in the number of homes available to rent in the capital. Last month there were 32 per cent more homes to rent in London than a year ago while the number of would-be tenants rose by only nine per cent, says Countrywide. Over November the asking rent was cut on 11 per cent of homes let in London, more than double the proportion in 2015 when it was five per cent. “Stock growth has outstripped that of tenants. This is in part due to the hangover from the rush to beat the three per cent stamp duty surcharge and a shift in stock from the sales market. With more choice and facing stretched affordability, many tenants are using their new found negotiating power to agree lower rents than in 2015” says Johnny Morris, research director at Countrywide. “Since the gap between London rents and those in the rest of the country hit a high watermark in 2015, the gap has been gradually narrowing. The pressure on affordability and number of homes coming onto the rental market in the capital means that rents are likely to lag behind the rest of the country in 2017” he adds. Across the country the cost of a new tenancy rose by 2.0 per cent over the last 12 months, or 3.1 per cent if London is excluded.